Light Design is an experienced company offering our facilities and trained, technical team to supply full lighting repairs and lighting maintenance service to companies and venues across the UK. From our warehouse, based on the London Essex border, we are well placed to supply both in house or onsite service solutions to companies and venues requiring our highly trained technical team for all ranges of your service requirements. We also have an excellent courier company for fast turn around service, delivered to you door, for all in house maintenance repairs items. 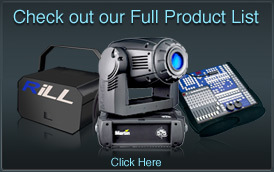 So contact Light Design today and get your lighting equipment working the way you know it should! Light Design offers a full range of services covering all aspects of lighting repairs and lighting maintenance to suit every individual customer. At Light Design we understand everybody is different and requires varying levels of service at different service intervals. Some of the service packages we offer are single repairs where by we just repair individual items for a basic service charge plus parts. We can conduct this either in house, at our warehouse or onsite at your venue, whichever you prefer .We can also offer fixed price monthly, bi monthly or quarterly service calls where you pay a discounted fixed fee and we visit you on a regular basis to ensure everything is fully working as it should. Finally, we offer a service contract offering clubs and venue operators a peace of mind repairs and maintenance service with very low fixed fees to have our facilities and services on call 24/7. Whenever the occasion might arise we will be on hand to help you offering replacement equipment and technical staff on site within hours of you making the call so you can worry about running your venue instead of climbing ladders to fix your lighting equipment! Light Design is an experienced and highly trained company capable of all types of lighting repairs and lighting maintenance work undertaking this to a high standard. We offer our expert team of highly qualified and trained technicians available for both in-house or onsite service maintenance or repair projects with fast service and fast turn around. 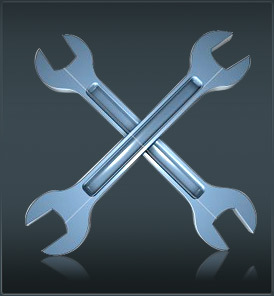 We are perfect for any types of service work or service contract large or small. When you consider that we are also main dealers and distributors for most leading lighting equipment manufactures around the world you can rest assured we will only use authorised parts with a guarantee for all work carried out. So don’t delay, contact Light Design today and let us take all the hassle out of the repairs and maintenance of your lighting equipment. With standards that will impress you and service that will blow you away. 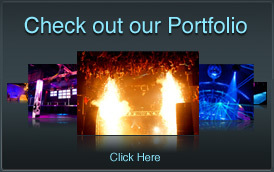 Light Design for all your service requirements call today!